If you're a Christian teacher, it shouldn't matter where you teach. 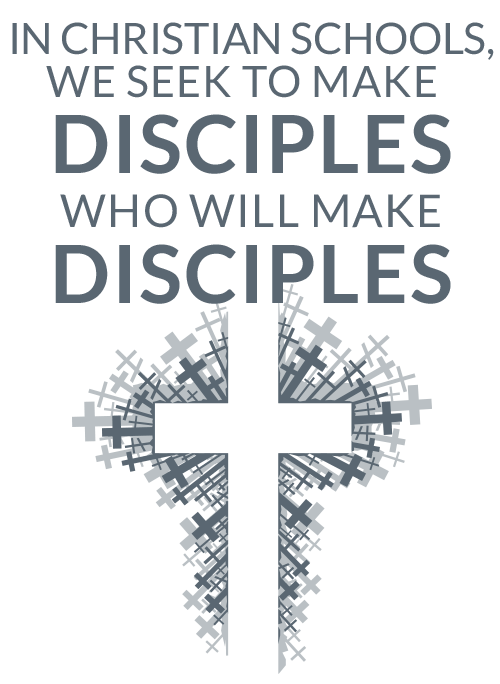 Our goal should be the same - to show Christ to our students. Some of us can be more open and apparent, but all of us can and should be intentional about showing Christ and His love in every way we can. When I think about sharing Christ, the first thing that pops into my head is talking about Him. And while we should certainly take advantage of every opportunity we get to talk about God & His truths, just talking about Him isn't enough. Our students need to see Christ in us. We need to show them who He is. And that's something every one of us can do - no matter where we teach. I wish I could say I'm always a perfect model, but I'm not. None of us are. But with God's help we can continue to grow closer - in our personal walk, in our testimony, and in our portrayal of Him. Let's look at a few ways, in particular, that we can model Christ in our classrooms. Love our students. God is love, and if we want to show Him to our students, we must also love them - all of them. Even the one that's driving us crazy. And it's not enough to just say we love them. We need to show them that we love them. We discuss how in my post "How to Show Real Love to the Kids (Even When They're Not Acting Lovable)." Be kind and understanding. When we're mean or grumpy, we turn students off and are a poor model of the Savior we serve. We must be kind and understanding of our students' struggles. This doesn't mean that we are a pushover. But we can be kind and firm at the same time. And, in fact, we must be. Care more about our students than our policies. 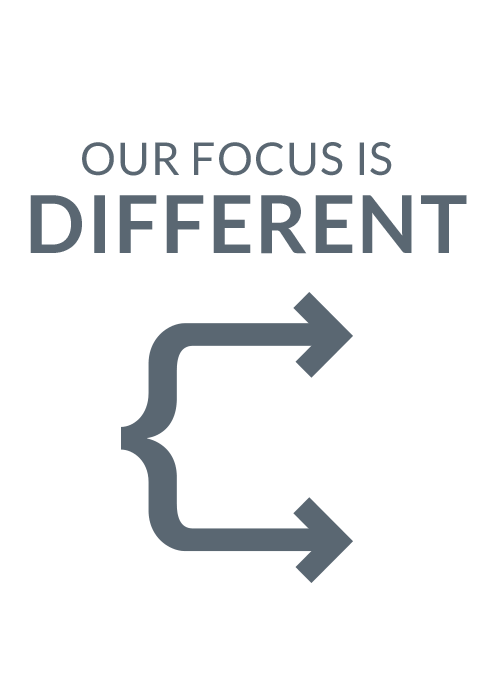 Too often we get so entrenched in our policies that we miss the point - that we're here to help our students grow. As we talk about in Take Heart and Teach, sometimes a student needs some mercy. Sometimes we shouldn't be fair. Sometimes what's best for a student doesn't line up perfectly with our plan. In these cases, we must pray for wisdom and remember that the growth and maturity of our students is our main goal. Have high expectations and hold students to them. Caring more about our students than our policies in no case means we should start letting everything go. On the contrary, we must have high expectations. And we must hold students to them. If we're pushovers or wishy-washy, we are a poor example of Christ's authority and leadership. Value integrity. Our society today has little value for integrity, yet we all respect it when we see it. Model integrity in your own life and expect it of your students. Teach them what it looks like, and put forth the effort to help them develop it. Check out this post here for details about what is legally allowed in public schools. Model Christlike living. Our lives should portray Christ, and our conduct should be an example. The Spirit should be evidencing His fruit - love, joy, peace, patience, gentleness, goodness, faith, meekness, self-control. And our lives should be marked by integrity and purity. We would never want our sin to be a stumbling block for our students. Be humble. Servant leadership is a powerful example of Christ and will draw students to Him. When we can set aside our pride, admit our mistakes, and not be easily offended, our students will see a very real difference. Be real. Above all else, we have to be real. Genuine. Ourselves. Students can sense hypocrisy a mile away, and it will turn them off faster than anything. We are not perfect. And we don't always have it all together. When we're authentic about our own struggles, we show them that our faith is real and model how God can work in us to change us and mold us into His image. 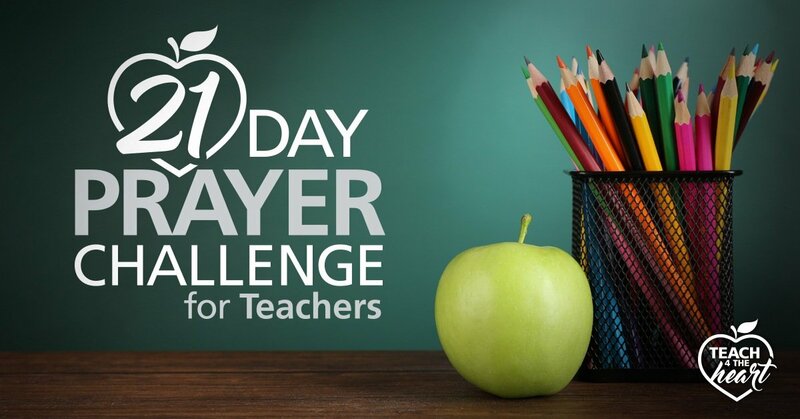 Take our 21-day prayer challenge! Unleash the power of prayer on your students and school. Simply commit to pray for them for 21 days & see what God will do. 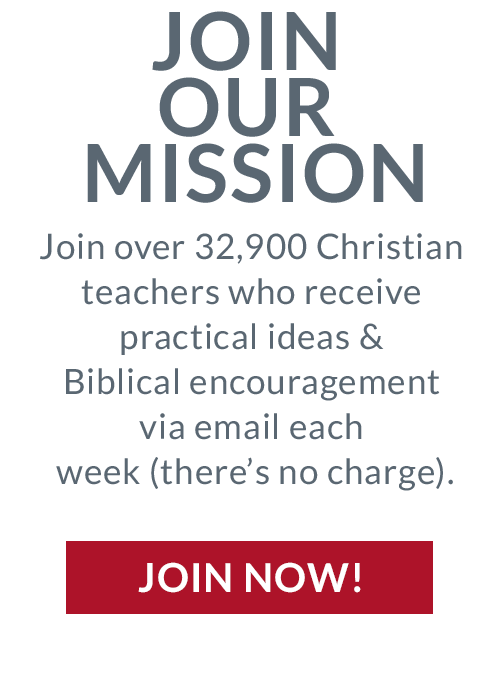 Are you a Christian teacher? 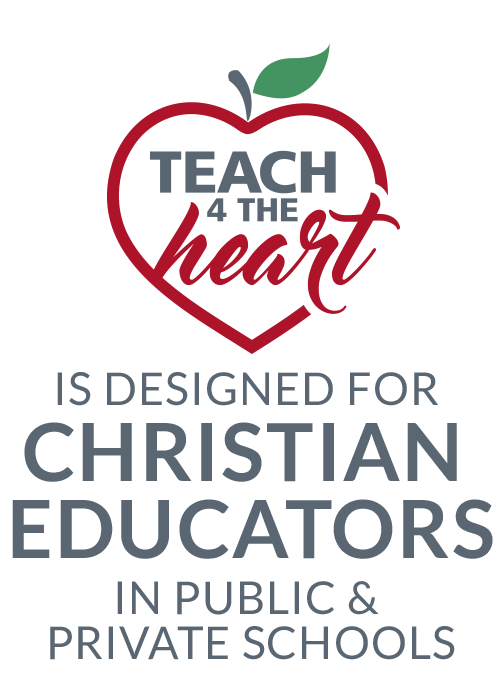 Teach 4 the Heart is here for ﻿YOU﻿. This was a huge encouragement and challenge – thanks so much for writing this post. God bless. Yes, needed to hear this before Thanksgiving Break. I will come back, balanced and refreshed! This is an awesome blog! All Christian teachers need to remember who we represent here on earth. Thank you!!!! If you teach in a public school you are forbidden by law to proselytize to students. It’s one of the quickest ways to lose your job. As a student I would have certainly taken umbrage to any teacher’s attempt to evangelize in a public school setting. Let me ask you something… how would you feel your own child’s teacher preached that “Allah is the one true God and Mohamed is his prophet” and tried to convert them to islam? Would you like it? I think not… but it might make you understand how people of other faiths or no faith feel if you do the same. 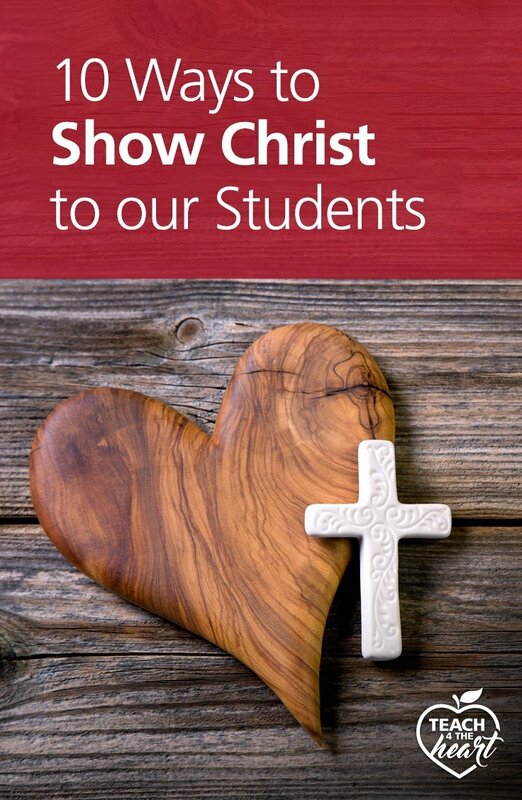 This isn’t about pushing Christ on students. This is a way for Christians to let Christ shine through them each and every day! This is great advice. As a teacher it is hard to remember that our actions are noticed by students even when we think they aren’t. Love the thoughts you have expressed here because “more is caught than taught.” Our students are always watching our lives inside the classroom and out in the community. They can very easily spot a phony. Living like Christ is to genuinely love our students, not a strategy to proselytize them or force Jesus on them. If His light shines through us, it will be Him that draws them. Please do not push relegion onto students at a public school. Your goal should not be to show them christ. Your goal should be a good education with out any relegious bias. Linda, Thank you for having the foresight, faith and heart to share these insights in your blog. I am a teacher who attended a parochial school for 9 years. When I began teaching in the public school system, I always took my role to nurture the development of my students in all domains: social-emotionally, mentally, intellectually and physically. I was often saddened that, unlike my experience, I had to rely on a Character Counts program to teach character traits and that’s as close as I could get to the spiritual domain. Then one day, a former student (age 8) taped a picture of Jesus to the corner of his desk and often spoke of him in collaborate responses with his peers. When I witnessed this single act of admiration coupled with the many testimonies of his love for our Lord that he bravely shared with his classmates, I knew, for myself, there was a message I was being instructed to pay attention to. This Tuesday, 4 years later on student appreciation day, I presented him with a letter to thank him for inspiring me as a Christian and writer which enabled me to share an important part of my educational history without having to be disrespectful of public education policies and laws. Who knew that an 8 year old boy could possess such wisdom as to teach his 3rd grade teacher such an important lesson about her responsibility to share ALL of her authentic self with her students. His bravery and character inspired me, and, likewise, I’m glad I have the privilege and opportunity to inspire my students to share their gifts and talents and live a life of service to make their world a better place. This blog concerns me, for many reasons. At no point should religion enter the public domain. To paraphrase a commenter above, how would you like to find out the teacher in the room next door was channeling Buddha, Muhammad, or the Flying Spaghetti Monster? It’s totally inappropriate. I just want to clarify that I’m not telling anyone to teach students about Christianity. We all know that is not permitted. But showing Christ’s love is absolutely appropriate. As far as your statement that religion should never enter the public domain, that is your own opinion – a truth statement created by your own beliefs and way of viewing the world. There are many reasons to argue that religion SHOULD be part of the public domain – and indeed our Founding Fathers certainly believed that it did. I agree that this is excellent advice, but as an athiest teacher, I disagree that thse actions show any kind of god to our students. I think these things show our students how to be decent, caring human beings because that is the right way to be. It should have nothing to do with religion. You can be good without god. Thank you for your comment. A question – you say “that is the right way to be.” I agree with you, but as an atheist, how do you explain this? 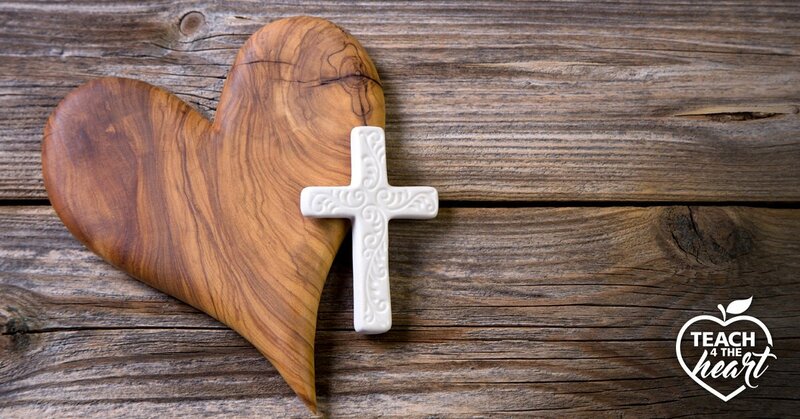 How is there a right and a wrong without a higher being who decided what was right and wrong and implanted that on our hearts? Live in such a way that those who know you but don’t know God will come to know God because they know you. I had a teacher in high school who was just like this! She was so amazing and even though she didn’t really talk about God and Christianity all the time, she really did let the Lord shihe through her in everthing that she did! She is still my role model even its been years since she was my teacher. She is the kind of Christian that I would love to be like and she’s affected my life so much! I don’t think that many teachers realize how much they can affect their students in positive (and negative) ways! But the fact is that teachers who’s got a great heart will always stay as a role models to their students! I wasn’t a Christian before but after I met this teacher I started getting interested about God and now I’m a Christian. Pray for them and your administrators and parents. I also advise the FFA chapter and many of the activities at the state and local level let us pray together. I like to feel it out and pray when I can before I do something with the kids. Praying before a trip or competition for example. I always ask if they’re ok with me praying. Those who aren’t willing are generally ok with not participating in the prayer. So many of our students lack a foundation in any kind of belief; they struggle everyday to make sense of the world they live in and their place in it. Their home lives are horrific, they do not like themselves, they cannot find anything to give them hope; they are simply lost. I do not set out every morning to preach my Jesus to my students, infact it is quite the opposite. I seek to show my students love, patience, kindness, and the obvious hope that I possess about my future. If I do that job successfully, then students may ask me about my lifestyle choices, at which point the student has made their own decision to inquire. I shouldn’t mention my Savior in my lesson plan, but I certainly should mention the truths of how to be a good citizen: love each other, exhibit kindness and gentleness, put others before self, be courageous, etc. Ironically, these truths just happen to match up with my faith. Yes, we are to teach rigorous content standards to our students, but our country, and lack of parental involvement, has now given us the responsibility to teach morality, as well. 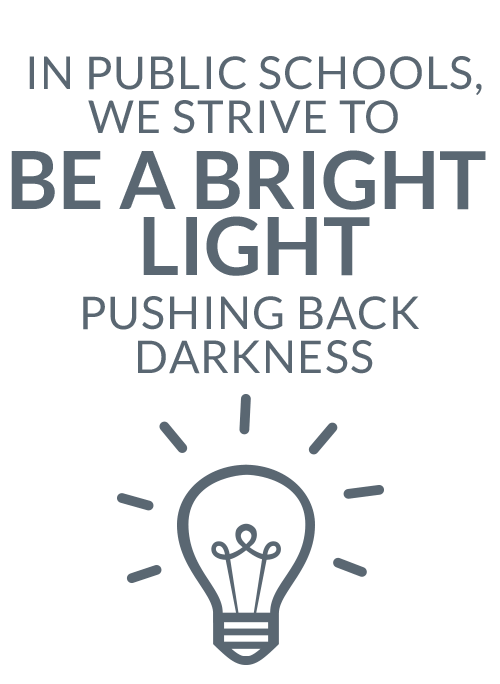 Teachers, in the words of Toby Mac, “Light shine bright everywhere we go, music for the people to illuminate the soul.” Let your actions be your music and light the way for all of your students! 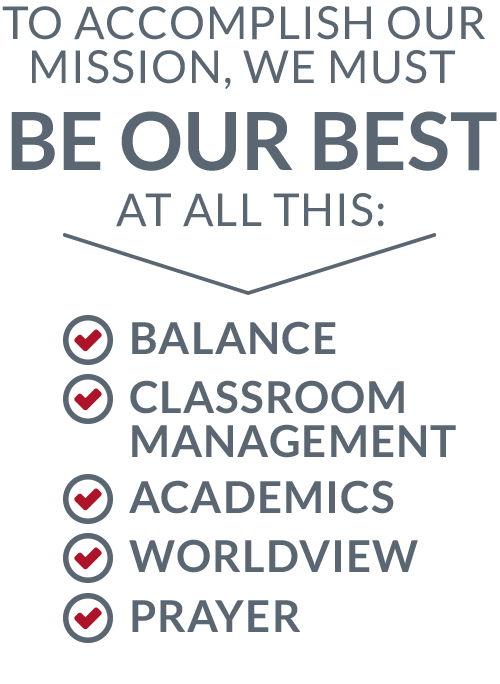 Have a great school year! Would love to have this in some sort of printable “poster” format to post at my desk! I have a really good Christian friend who is also a teacher, and so I think that she would love your tip about valuing integrity. She holds that particular value in high regard! 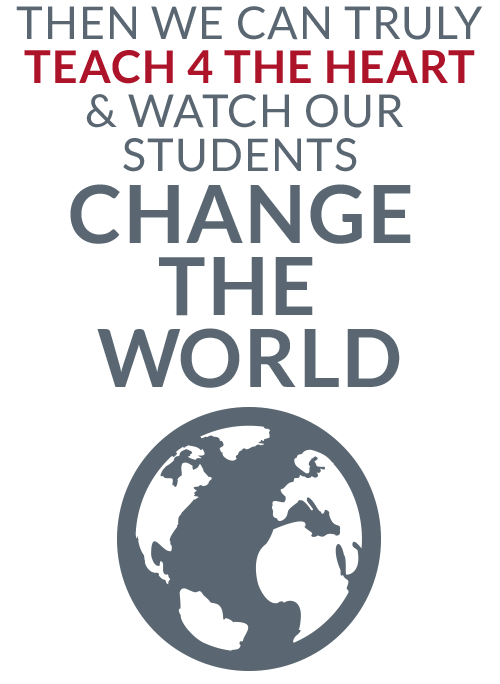 However, what can be done to help students develop it? I do agree that we must act accordingly with our father’s examples and spread his word through the younger generation with kindness, understanding, compassion, and love. Hopefully, more children will be able to walk the path and live the example of our father. Personally, I believe that my child would grow to be a better person if he follows the teachings of the Christian church. Once he’s old enough we’ll be sure to have him baptized in the name of the lord. Thanks! I do agree with your idea that the best way to teach kids about Christianity is by being a role model and mark out lives with integrity and purity. I know that this is made for teachers, but I do feel that parents like us will learn a thing or two from it as well. Actually, I also plan on reading a few blogs for more enlightenment since my little girl is starting to become curious and ask questions. Thanks for sharing.